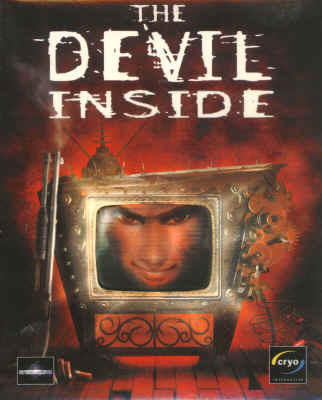 The Devil Inside was a 3rd-person shooter developed by Cryo Interactive and written by Hubert Chardot (of the Alone In The Dark series) in the year 2000. And what a strange game this is. 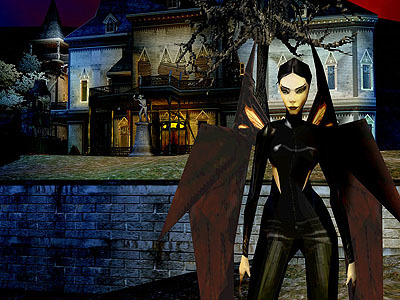 The game is about a reality TV show called, "The Devil Inside" where host Jack T. Ripper of the WWWL@ network challenges contestants to a live game of survival horror. The contestant in this episode is Dave Cooper, an ex-L.A.P.D. cop who is somehow possessed with the soul of a succubus demon named Deva...what? Together they must infiltrate a haunted mansion in the Hollywood Hills known as Shadow Gate, inhabited by all sorts of evil things led by an undead criminal known as The Night Howler. With cameras rolling, the show begins as Dave Cooper heads into the garden grounds of the mansion. The whole premise has a real "Running Man" vibe to it, and the fact that a cameraman follows your every move and is vulnerable to the surroundings make things interesting. Getting this game to run on Windows XP was literally hell. Time has not been kind to the code of this game, even though it's only been 13 years since it was released. The only way to get the game to run is in Windows 95 or 98 compatibility mode, but even with that there were several hoops to hurdle before I could finish it. The game may stop at certain points and become unplayable depending on the type of graphics card installed. Yet somehow these factors added a mysterious appeal to the game for me, and I was determined to beat it. Gameplay is as pretty straightforward as other survival horror 3rd-person shooters, but with a few unique twists. 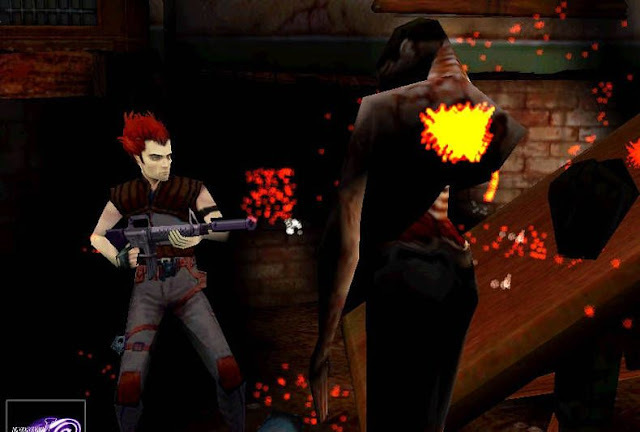 You run around and collect weapons and ammunition as Dave, and shooting enemies requires you to aim a red LED scope at the enemies, enabling you to blow off various limbs. For instance, if you shoot a zombie in the leg, they fall and have to crawl. It's a gameplay mechanic reminiscent of the Dead Space franchise. There are plenty of different weapons to choose from, but I only used the pistol and shotgun through most of my playthrough. Ammo is the most abundant for these weapons, and they were the most effective. Through the course of the game you'll have the opportunity to change Dave into Deva, the inner demon I mentioned earlier. Deva offers a different set of skills and abilities, from casting spells such as fireballs to flying around and causing all out havoc. You also don't have to worry about precise aiming with Deva, as her attacks will hit the nearest enemy. Some enemies will be better suited for Dave, while others will go down easier with Deva, making for some alternating action. While trekking your way through Shadow Gate you'll come across various items to collect that will tell the story of what happened to the current inhabitants. At one point a rival reporter named Angelina will arrive, believing that the whole Devil Inside show is a sham and wanting to prove it. She'll end up getting kidnapped by the Night Howler and it will be your job to rescue her. You'll also want to keep an eye on your cameraman as he might get kidnapped as well! As you work your way through the mansion you'll encounter zombies, ghosts, skinned criminals, and even bat boys. 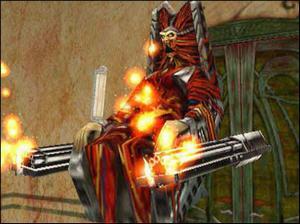 Some of the enemies are interesting, such as the chain gun-wielding businessmen planted in floating chairs, but most of them are pretty cut and dry. The level design of Shadow Gate is so-so. You'll find items in the strangest places...Jack T. Ripper kindly lets us know when something is in a room. The puzzles are pretty run of the mill here. When you find an 8-ball, placing it on the billiard table gives you access to a secret crossbow weapon, or inserting a coin into the pinball machine gives you access to the Red Room, etc. The trail of hints will lead you through all levels of the mansion, out into the mines underneath, into hell itself (they call it Necropolis), back up into the Cemetary, and finally ending at the tomb of the deceased...Hubart Chardot! It is here where you will have your final confrontation to save Angelina. And once the Torturer is dead, you are treated to a lengthy and somewhat controversial ending...so much so that the game was banned in countries such as Poland for it's "satanic and sexually subjective material". The Devil Inside may not blow you away challenge-wise and is very short, but the interesting premise of a reality TV show with a crowd cheering your every move, along with the devilish environments and the hellish difficulty of even getting the game to run turned this game into a cult classic for me. 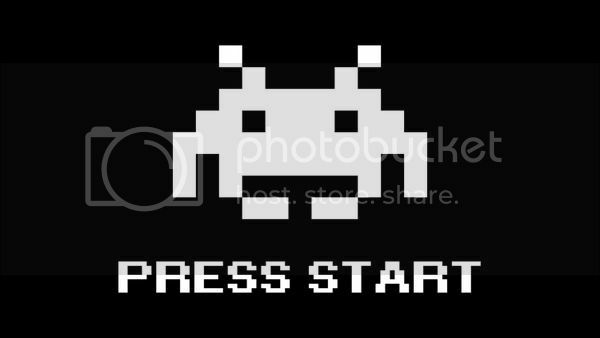 It's become something of an enigma in the gaming world, and if you are ever able to get your hands on this gem (and get it running)...by all means go for it! Yeah! Great game! How can I play in windowed mode? I need tot ry something! Thanks! I wish I could help you, but I was never able to play via windowed mode. Best recommendation is to try all the available resolutions and make sure to start in 95/98 compatibility mode. Good luck! This was a great game.. I have noticed in early games that I want to play like Castle Wolfenstien and DukleNukem3d that I must play the game in Windows XP, the reason for this it in 7 I will get 'Error this system does not support full screen mode' This is because windows 7 is built with out a DOS background.. Where as XP is built on a DOS platform. (Yes I have a dual boot system for xp and 7 as well as FREE BSD. Use Microsoft Application Toolkit and set "forcedisplaymode" this may solve your issue.